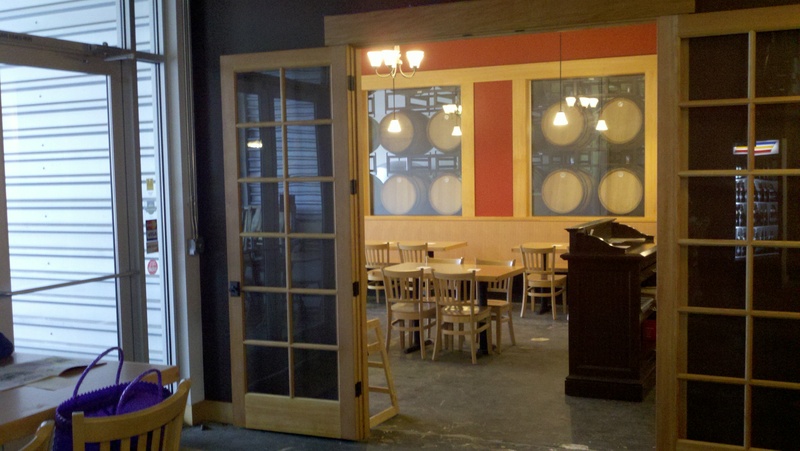 Beveridge Place Pub, West Seattle’s premiere craft beer destination, ‘opened’ back in 2003. It’s history, however, dates back to 2001 when they first purchased the old Full Moon Saloon. In 2008, after 5 years and many changes, they lost their lease in and moved into the location where they now reside, at the corner of Southwest Beveridge Place and California Ave Southwest, just off Fauntleroy. With their great tap selection, knowledgeable and friendly servers and a steady stream of great events (including their annual IPA Cask-O-Rama, their annual Barleywine Bacchanal and regular ‘Iron Brewer’ competitions), Beveridge Place Pub appeals to craft beer and cider lovers, event seekers, sports fans and anyone just looking for a comfortable place to hang out and have a few drinks with some friends. The decor is casual; it almost feels like you’re hanging out in someone’s over-sized living room (there are a few easy chairs and couches, game tables (chess/checkers) and board games), and the servers always make you feel welcome. If the Mayans were right, we’re only got a few days left before it all ends. I think, other than my wife, my dogs, my family and my friends, that great craft beer will be one of the things I’ll miss the most if the World ends. Then again, I won’t be around to miss it! If you’re a fan of Airways Brewing and would like to spend your final hours enjoying some of their great beers, then head on down on Thursday, December 20th to await the apocalypse. Happy Holidays! I’d like you to meet my friend, Randall. No, you can’t shake his hand. He doesn’t have one. But you can stuff him full of hops (or coffee, or fruit, or spices or any number of other flavoring ingredients). Randalls are devices that are hooked up between the keg and the tap, allowing the beer being served to be infused with whatever is stuffed into the randall on it’s way to the glass. This allows for some interesting combinations. Randalls are probably most popular as a way to instantly fresh hop beers coming off the tap. You can fill the Randall with the desired hop (Cascade or Citra, for example, are good choices for some IPAs), and give a real boost to the hop aroma in the beer and flavor to a slighlly lesser degree. Another popular use of a Randall is filling it with coffee beans when pouring a stout or porter. Yet another example, and one of the more delicous Randallized beers I’ve experienced was an imperial stout though a Randall of bourbon-soaked oak chips. 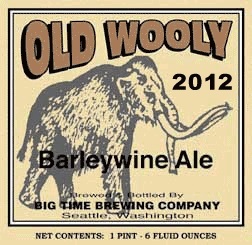 Yesterday, I attended the kickoff of the 2012 Big Wood – Wood Aged Beer Festival at Brouwer’s Cafe in Seattle. This annual festival celebrates the complexity and diversity of wood-aged beers (and a few ciders too). Die-hard wood-aged craft beer lovers, myself included, lined up early, in the rain, eagerly awaiting the start of the festival. The rain didn’t dampen our spirits though, as most were discussing their favorite wood-aged beers, or ones they were looking forward to trying at the festival. The Winter Solstice is approaching fast. It’s not quite Winter yet in the great Northwest, but that Winter chill is in the air and the skiers are already enjoying the slopes up in the Cascades. For craft beer enthusiasts, this is the time of year our thoughts turn to some of our favorite winter-time beers. Hoppy, woody, Holiday-spiced or even just Holiday/Winter-themed, Winter Warmers (mostly Ales) come in many varieties from all across the U.S. Today, however, I’ll be focusing on a few selections from the Pacific Northwest. Also, just a few reminders. 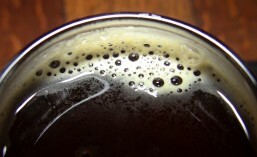 The 2012 Winter Beer Fest is coming up this Friday, December 7th and 8th at Hale’s Palladium on Leary Way. You can get tickets from Brown Paper Tickets for $25 or $30 at the door. Also, the 6th Annual Big Wood Fest kicks off this Thursday, December 6th at Brouwer’s Cafe. Great beer can’t be rushed. That is especially true for wood-aged beers. It takes time for beers to glean the appropriate flavor and aroma qualities they can obtain by being stored for a time in wood barrels. The subtelties and complexities of wood-aged beers have always appealed to me, which is why I’m really looking forward to one of my favorite events of the year, the 6th Annual Big Wood Fest coming up on Thursday, December 6th. Then, of course, there are those for which the Lexus is far too expensive and their idea of cheap is a $15K Volkswagen or even a $10K Kia ($2K 1972 VW Bug, anyone? lol). 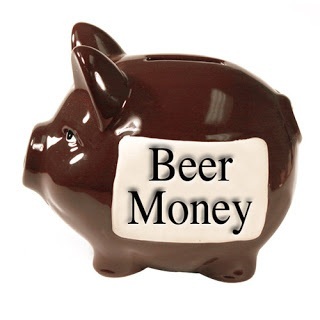 For those who are financially-minded (that is – preoccupied with their finances), the beer world can sometimes be viewed in somewhat the same way. The holiday beer season is upon us. After the pleasing glut of pumpkin beers leading up to Halloween, I still need to catch up with some of my favorite winter time beers. I’ve already really been enjoying Hoppy Holidays from Schooner Exact Brewing and am looking forward to the release of their popular, Hoppy The Woodsman, sometime in early December. I’ve also been fortunate to have some of this year’s Sleigh’r from Ninkasi Brewing and a touch of Sierra Nevada Brewing‘s Bigfoot (the keg blew as they were pouring my glass, so I only got a bit). However, I have yet this year to have a Jolly Roger from Maritime Pacific Brewing, a Bifrost from Elysian Brewing or just about any other beers that only show up around the holiday season. I’d better get busy! Do you enjoy Winter get-togethers and Firestone Walker Brewing Company beers? Then don’t miss the Firestone Walker Ugly Sweater Party, happing on Friday, November 23rd at Brouwer’s Cafe. This will be one of, if not the first place in Washington you’ll be able to find Firestone Walker’s XVIth Anniversary Ale, which was just released, on tap. From their humble beginnings back in 2006, brewing only a half barrel at a time in a small space under the West Seattle bridge, partners Marcus Connery and Matt & Heather McClung have slowly grown Schooner Exact Brewing Company into a well known and well repsected name in the Seattle beer scene. Now it’s time for the next step.